Gr@v member Tjarda Boekholt recently travelled to the University of Concepcion in Chile. He was invited by the Theory and Starformation Group (TSG), which is led by a team of professors including Mike Fellhauer, Dominik Schleicher, Amelia Stutz and Stefano Bovino. In the first week Tjarda lectured students on the Astrophysical Multi-purpose Software Environment (AMUSE). In particular, they discussed the coupling between N-body and hydrodynamics. The remaining two weeks were dedicated to helping students with their simulations of the formation of the first massive black hole seeds (similar to Boekholt et al. 2018), and on progressing his own projects in collaboration with the TSG. 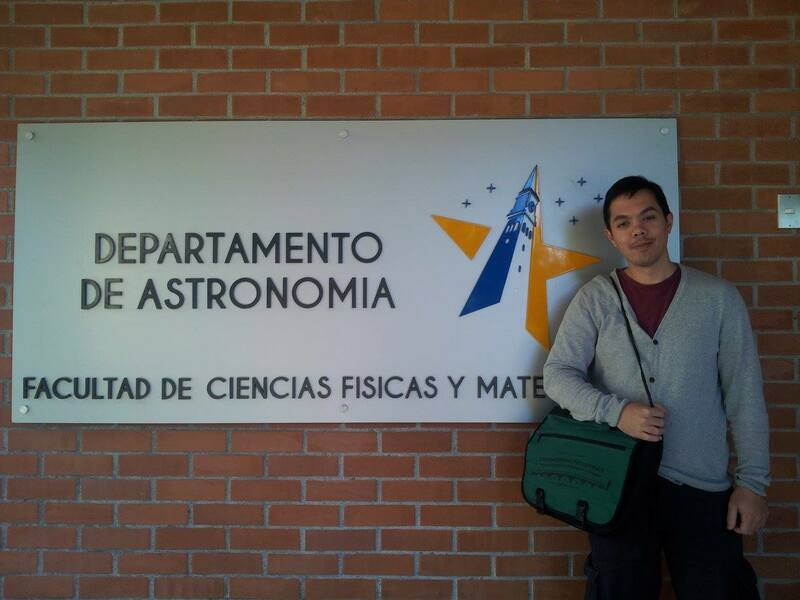 On the 6th of November, Tjarda also visited Prof. Julio Chaname at Pontificia Universidad Católica de Chile in Santiago, and gave a colloquium on the Slingshot paradigm of star cluster formation (see Boekholt et al. 2017).